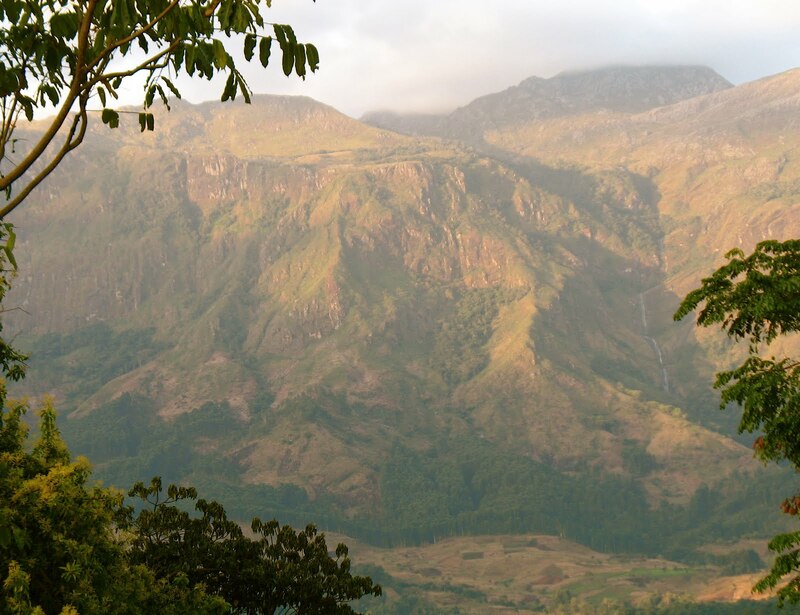 The climate of the larger Mulanje area is strongly influenced by the equatorial low pressure area, where the north-east trades of the Northern Hemisphere converge with the south-east trades of the Southern Hemisphere. This area is known as the Inter-Tropical Convergence Zone (ITCZ). On satellite Images the ITCZ is mostly seen as a long band of clouds in the Equatorial region, the main effect of the ITCZ is the creation of dry- and rainy-seasons in the Equatorial area. If we focus on equatorial and central Africa, we can see, that the ITCZ moves as southern as northern Zimbabwe. Therefore also the greater Mulanje area is affected by the ITCZ despite of is location, roughly 1800 kilometers south of the equator. Most affected by the ITCZ in the Mulanje Area, is the Mulanje Massif, because its unique position as a “mountain island”, rising up more than 2500 Meters above the plains around. This setting is responsible for the Massifs role as a rain barrier that forces the clouds to come down in the form of rain. This becomes very visible if we take a look at the annual normal rainfalls, on and around the massif. On plateau level, at around 2000 m.a.s.l., we annually experience more than 100 inches of rain, however, in the low plains around the foot of the Massif, the annual rainfalls, range around 40 inch. In the plains around the Mountain, it normally only rains in the rainy season, while it rains all year long, on plateau level. The rains are just more intense and frequent then in the dry season. But, there are still differences in the amounts of rain, around the Massif. 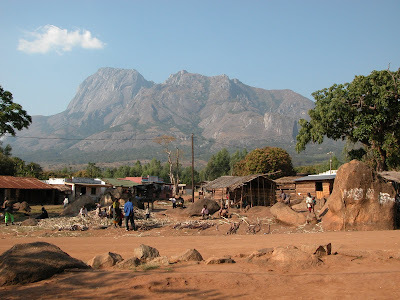 The south-west face of the Mountain, is the weather side, around Likhabula, Lichenya and Mulanje Boma, which experiences the highest amounts of rain, due to the south-east trades of the southern hemisphere, that drive the moist air from Zambia and the Democratic Republic of the Congo into the Mulanje region. Therefore the North-west face of the Massif experiences lesser rains, as it is situated in the shadows of the high Peaks of the Massif. Temperature wise, the months of the dry season are the coolest months of the Year, and probably the nicest climate to go hiking in the massif (May-August), the wet season (November-April) is not the recommended time to hike in the Massif, as the hiker faces strong rains on the plateau and high temperatures at the ascent.